Yeah, no. We're playing a Land deck in Standard! We have Molten Vortex trying to act like it's big bro, Seismic Assault. We also have the power of generating an army via Crawling Sensations and the various lands that produce tokens. Opponents won't enjoy having mostly useless removal spells! So back to Crawling Sensations. It triggers EVERY turn, and doesn't care how your land enters the graveyard, only that it happens. So our Magmatic Insight's and Geir Reach Sanitarium are going to be even better. Another cute interaction is sacrificing a land for either fixing mana (Evolving Wilds, Warped Landscape), getting blockers or discarding lands to deal 2 damage. Splendid Reclaimaion and Animist's Awakening are to ramp, though Reclaimation is fun because you can use it to make tokens and then bring back the sacrificed land. I recommend not using the Awakening's until atleast turn 4 just to raise your odds of hitting land. Collective Defiance is a great card, can pick off a dude, and if your hands bad, just discard and draw some new cards, I've also enjoyed just dealing damage to an opponent, or redirecting to a planeswalker, which tends to be the biggest threat to this deck. Now for the cream of the crop, the manabase. We have a lot of colorless sources, and nearly every land in the deck does something in addition to tapping for mana. First off we have Blighted Gorge, it's a simple removal land. People will forget about it, so enjoy he moment of surprise. Secondly we have Evolving Wilds, and Warped Landscape for manafixing, even though our manabase isn't too demanding. Third, we have Foundry of the Council, Spawning Bed and Westvale Abbey for tokens, as well as a win con with the Abbey. Then we have our Sanitarium to further fix draws, and mess with the opponent a little bit. When we come to sideboarding, it gets interesting. 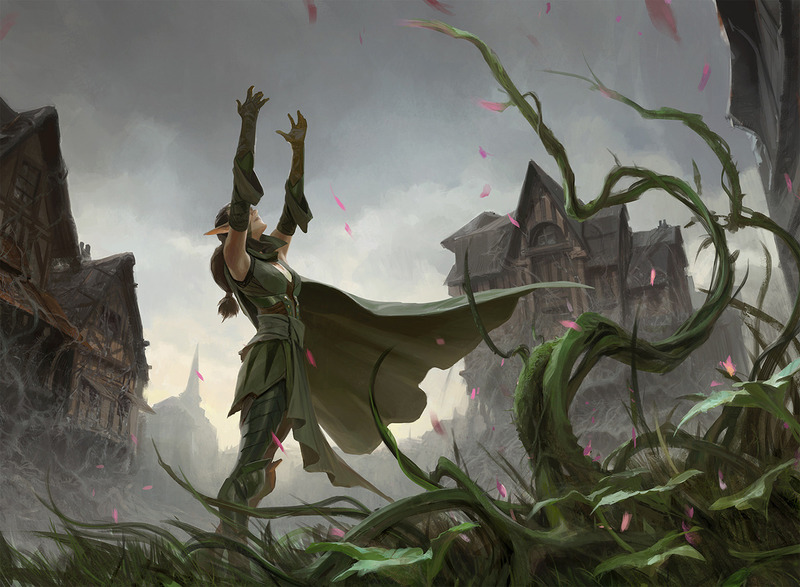 We can side into the Ramp deck, or side into offshoots and removal for aggro and midrange. Control you can bring in Chandra for and try to swarm them with tokens. Have fun sleeving this bad boy at your FNM! You'll certainly never worry about mana screw.